Make real madness by installing this addon. 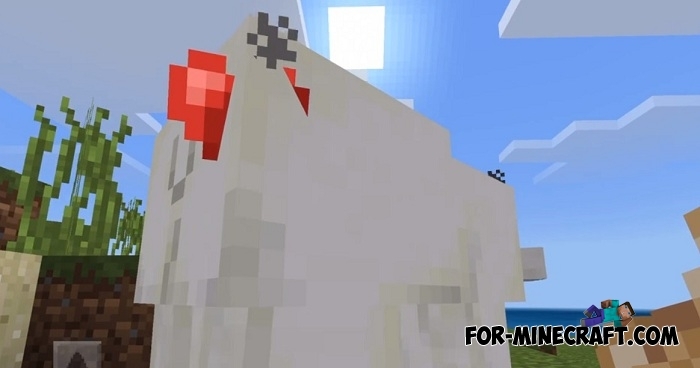 From now on, every Minecraft PE world will become a haven for the most abnormal mobs that were peaceful or not dangerous before. If you do not understand well, then here are some examples: as you know, donkeys are neutral animals not attacking the player, but with this addon, donkeys have lost their mind and mastered new abilities. 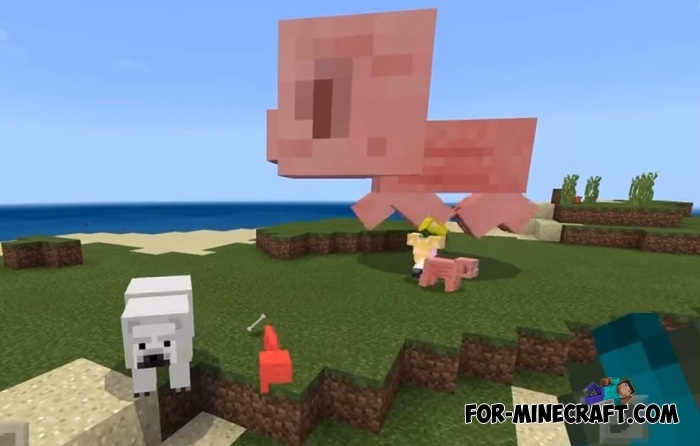 Each donkey can fly and attack other mobs releasing fireballs. 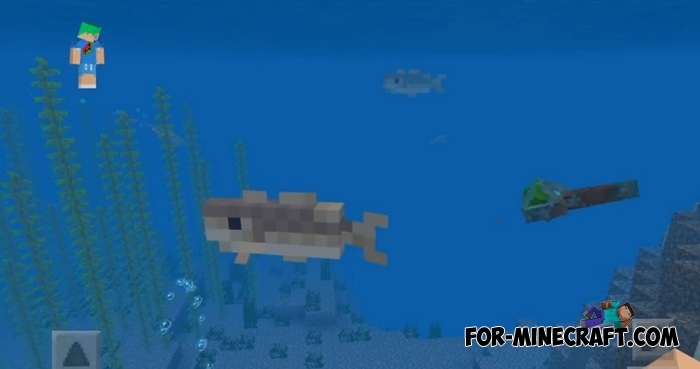 The rest of the mobs are changed in this way. Their appearance has not changed, which can not be said about behavior and new abilities. Do you want to tame a polar bear? Catch the fish and feed it and then the huge bear will become your friend. 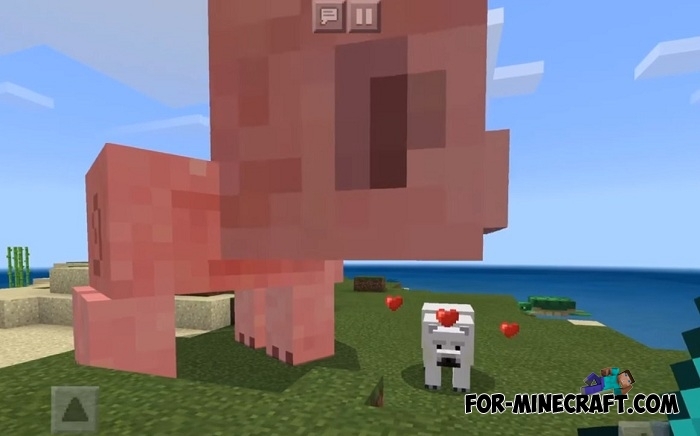 You will have to try to kill a pink pig since now it has a large health reserve and a giant size. And this is only a small part of what will appear in MC:PE. How to install the Madness Mobs addon?